Village Hotel Chester St David's, Ewloe, Flintshire hotels with instant confirmed online booking. We have Hotels throughout Flintshire , Wales . Accommodation near all the attractions, places to see and things to do.......You are able to make an instant secure confirmed online booking. We also offer information on Airports, and travel and tourist information. Just 15 minutes’ drive from central Chester, Village Hotel Chester St David\'s features a luxury leisure centre, award-winning restaurant and elegant rooms. There is free parking and free WiFi. Sumptuously decorated, the rooms at Village Hotel Chester St David\'s have a private bathroom with free toiletries. 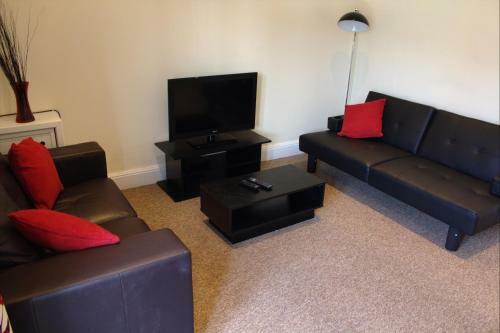 Rooms also feature a TV with satellite channels, some Sky channels and tea/coffee facilities. At an extra cost, guests can use Velocity Health & Fitness Club with a swimming pool, sauna and steam room. Guests can dine at Verve Grill and The Public House. There is also an on-site Starbucks, free WiFi and conference facilities. 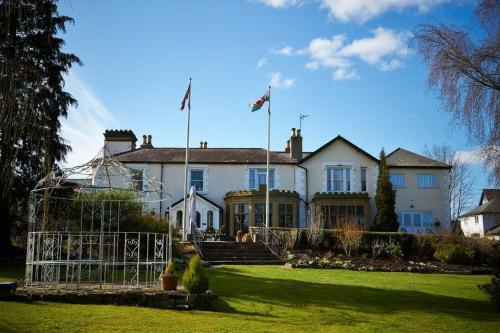 Situated in scenic North Wales, Village Hotel Chester St David\'s is just 5 minutes’ drive from Hawarden Golf Club. Chester Racecourse is a 15-minute drive away. It is essential to pre-book spa treatment times in advance of arrival to avoid disappointment. Entrance fee to the Health & Fitness Club is GBP 5.00 per adult per stay. Please note that children’s swim times apply. Please indicate the number of baby cots needed. All requests for cots must be confirmed by the property as not all rooms can accommodate cots. Guests can use the Special Requests box when booking, or contact the property directly with the contact details provided in your confirmation. Dogs are not allowed. Please note that over the festive period, there will be limited dining available at the hotel due to private functions. For more information, guests are advised to contact the hotel before arrival, contact details can be found on the booking confirmation. Please note that Village Hotels do not accept cash payments or cheques.